The point of this comic was four-fold. First, it was to remind the readers what Bob returning alone to his home world means, in case it wasn't clear from previous comics. Second, it was trying to instill the idea that George has no reason to live any more, since his home world is screwed and everyone he knows will probably be dead soon. Third, it was to remind the readers that the Yellow Demon is standing just off-screen. Since it's exact intentions weren't yet clear, it was entirely possible that it would now kill them all, which might be important for the readers to remember. Fourth, it was to let the readers know that even with Bob's best intentions, Mega Man is somehow still alive. 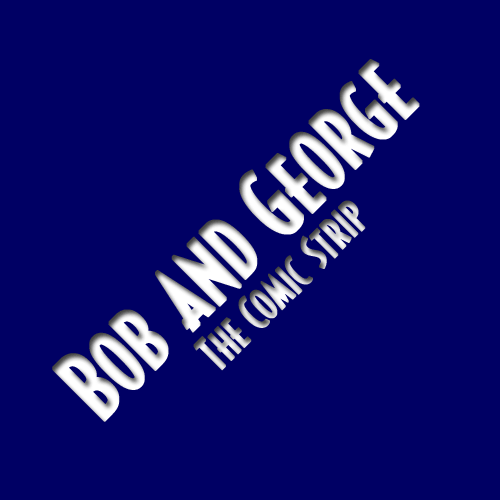 By the way, the idea of having an entire comic with George on his head was repeated later with the Helmeted Author.